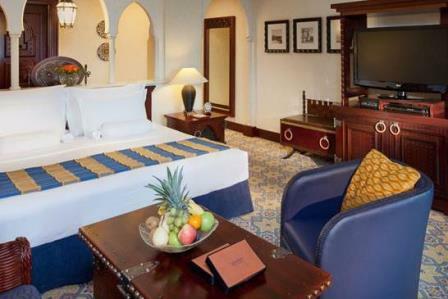 Mina A’Salam, meaning ‘Harbour of Peace’, is the grand boutique hotel that forms the gateway to Madinat Jumeirah. 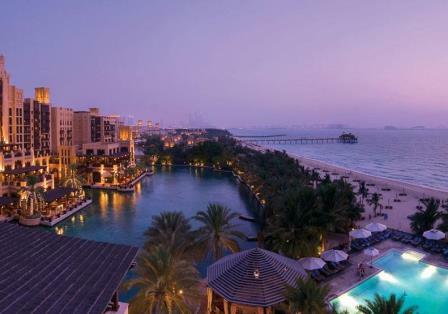 It’s the entry point from which numerous waterways and walkways thread their way to all corners of Madinat Jumeirah. 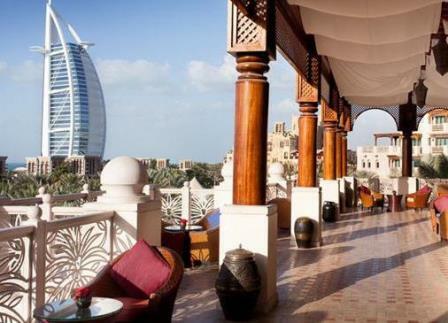 Madinat Jumeirah is a luxurious complex offering a huge array of facilities, world-class restaurants, bars, cafes, the Talise Spa and a traditional souk – housing scores of boutiques, shops and galleries. 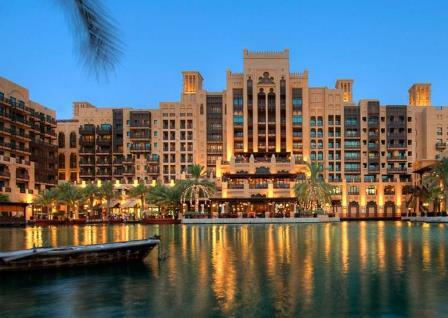 The Madinat Jumeirah complex is an impressive place. The facilities are amazing and it offers just about everything you could imagine. The Mina A’Salam does traditional luxury incredibly well. 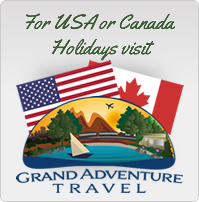 It receives consistently excellent reviews. The Madinat Jumierah complex in on Jumeirah Beach near the Burj al Arab hotel. It has 2kms of beach frontage and transfers from Dubai take approximate 45 minutes and Abu Dhabi airport just over an hour. 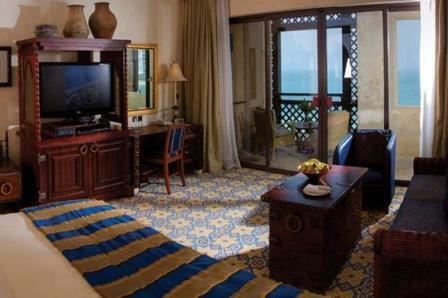 Arabian Deluxe room offers an elegant ambiance with a delightful mix of antique furnishing, dark wood finishes and bright perspectives. Ocean Deluxe room have uninterrupted ocean views that will inspire you, from the comfort of the private balcony or through the panoramic windows of the living room. Executive Ocean (Club Lounge privileges) rooms offer stunning views from the private balcony or generous living area as you connect or unwind. The spacious bathroom promises a rejuvenating experience and offers upgrades amenities. Further privileges await you with complimentary access to the Club Lounges. There are several higher categories, please ask. 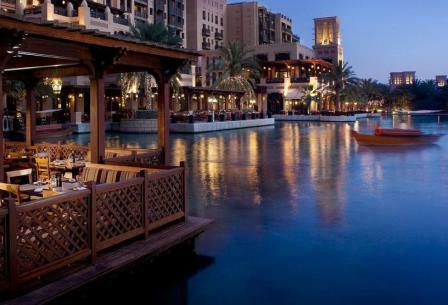 The Madinat Jumeirah complex offers a remarkable 40+ world-class restaurants, bars and lounges to choose from. Enjoy a dizzying choice of dining options â€“ each with a distinct theme, location and style. Whether you feel like an evening of terrific Thai or a night on the tiles with the finest cocktails, youâ€™ll find your tastes fully satisfied at Madinat Jumeirah. Al Fayrooz Lounge – Visit the lounge for traditional English Tea or Afternoon Tea and enjoy a delicious selection of sweet treats including Victoria Sponge, English fruit cake, tea cakes, sandwiches, scones and more. Sit back, take stock and contemplate the elegant surroundings of the lounge, and its views of the winding waterways, the Arabian Gulf, and of course the majestic Burj Al Arab. 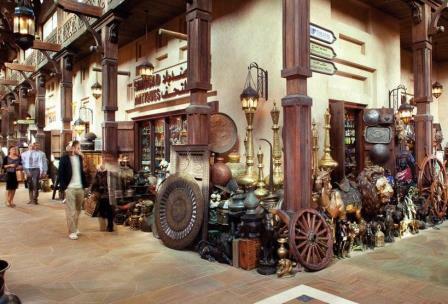 Al Hambra – a traditional Spanish eatery with an unerring knack of making you feel at home. You’d be forgiven for thinking you’re in a bustling Valencian taverna – but one glance at the view of the palm-fringed canals from the terrace will remind you of your romantic Gulf location. Al Muna – Mina A’Salam is the ‘Harbour of Peace’ – and there can be no more peaceful way to spend your time than watching the abras and dhows drift by from the terrace of Al Muna. The decor of Al Muna celebrates Arabic style and heritage, and its cuisine is an exciting blend of not only regional fare, but also choice flavours from the rest of the world. Al Samar Lounge – Afternoon Tea is a time-honoured tradition that is still widely embraced in the Middle East. What was once a filler between lunch and dinner is now a meal in itself – and a fine excuse to meet friends for an entertaining pause from the day’s business. Complimentary Wild Wadi Waterpark entry for all guests.